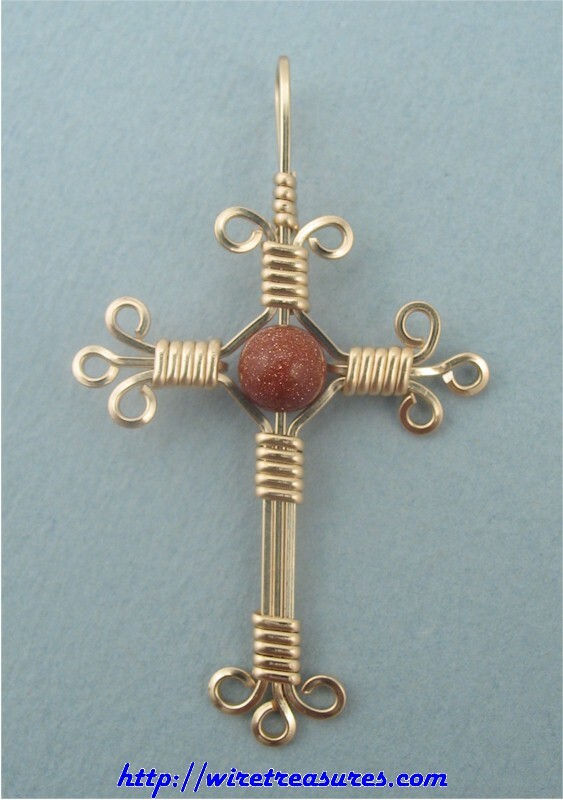 This 14K Gold Filled wire cross has a single 6mm Goldstone bead at its center. This is a Jessie Donnan design. You are visitor number 4,688 to this page.